Lists are the cornerstone of a good B2C sales strategy. But with the plethora of choices the Internet provides, how do you know you’re getting the lists that best suit your business’s needs? Having a good plan for finding and generating customer sales lists is a crucial part of any good outbound sales effort. 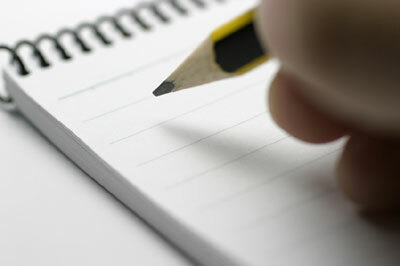 We’d like to suggest 4 tips for finding and/or making a list that suits your focused needs. Each of these websites (and many more) can provide various kinds of information to sales teams: names, credit ratings, list subscription services, job titles, press coverage of people listed, etc., all of which can help generate a list suited to your business’s demographic needs. Rather than going all in with one resource, try sampling and comparing selected lists/databases to which each provides access--is this website working for you? Is it providing the lead generation suitable for your business? Or do you need to look elsewhere? He goes on to say that using this method--which involves using Google, Facebook, Twitter, and other social media tools to find information on potential clients in order to hone your message and keep your client lists fresh--had helped to boost one client’s sales by 250 percent, and another’s sales pipeline by 400 percent. A recent Hubspot poll said 77% of B2C businesses acquired new clients via Facebook. No one methodology-even something like social media-- can provide all of the hundreds or thousands of names an outbound calling company needs to keep the funnel moving. But used in tandem with more traditional methods of list-gathering, these kinds of social media targets can give you a more precise reading of who you’re reaching, and who you should try to reach. Award-winning journalist, Linda Ray points out the importance of keeping your lists fresh: “Whether you are calling your current customer base or calling from a purchased phone list, an average of 15 percent of the information ages out or becomes obsolete every year.” She goes on to note the importance of verifying names and deleting outdated files in the database, tagging names with geographical markers for sales staff pursuing leads in certain regions, and centralizing access to your database so that it can remain stable even if a specific salesperson leaves. These and other steps can help your staff to insure your company’s customer list doesn’t grow stale. While list purchasing, social media targeting and updating existing lists can all help to reduce the effects of churn in a shifting marketplace, one answer to the question, “Where can I find a list?” is to build it in-house yourself. A 2014 DMA Customer Acquisition Barometer indicated that 56% of those B2C companies surveyed find in-house list-building to be the most cost-effective per-acquisition source of lead generation. Building a list via your company’s website, providing good content to ongoing customers, creating “return paths” via reminders about your products or services-- all of these techniques can help build and maintain a strong customer base that follows and grows as your business does. It can also provide potential referrals from satisfied customers. Customer lists are a central tool for sales staff who want to keep their pipeline moving. By taking these 4 tips into consideration, you have the opportunity to build a client base that’s fresh, complete, and better targeted towards your business’s sales environment. How do you help your company to find good customer lists? Please share stories in the comments below!